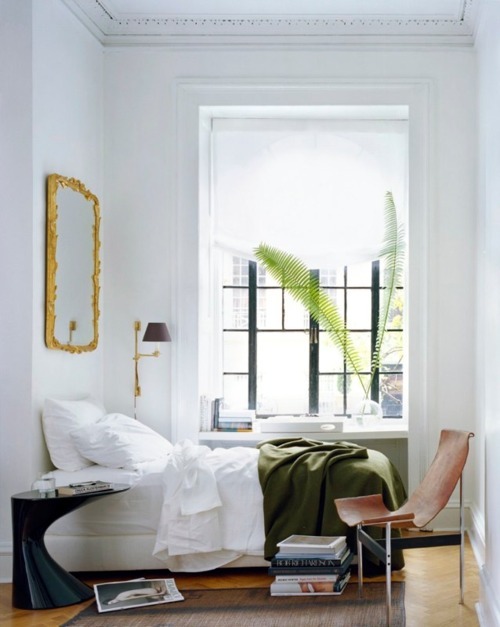 For the past little while I've been searching for inspiration for my new bedroom in my new apartment. It's the smallest bedroom in the apartment and so I've been considering ditching a desk altogether and just using the kitchen table if I need a hard surface. I am really excited about starting fresh and designing an affordable but stylish space for me to live in over the next 3 years. Alison and I are huge advocates for being able to have spaces with great design for a reasonable price. Too bad most mattress and bed sales are for queen sizes instead of double/full (whatever the size down is haha). Hopefully I can find something before we move in in September!